The Big Velo has come through another speed week with flying colours. After an initial sighting run of 177 mph which appeared ok until we discovered a nearly empty fuel tank........ Almost 10 litres of fuel used is a bit much even for its insatiable thirst. On the next run this fuel consumption became problematical with fluctuating cylinder head temps and eventually drowning the engine which at least allowed us to identify a very unusual fuel flow problem related to our specific installation. For the third run we upped the supercharger drive ratio and the engine ran like a clock resulting in a 188 mph average ,however the Velo was not happy with major stability issues requiring me to roll of the throttle three times through the timed miles to keep her on the track. 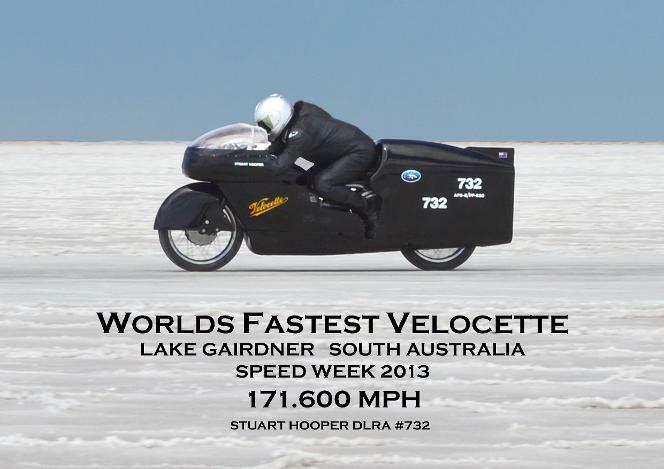 This run however put the Velo firmly in the record books as the Worlds Fastest Single Cylinder Motorcycle . A bit of head scratching over the errant handling led to a few minor suspension changes and we were off again, this was a dream run using only half throttle and 5000rpm she passed 150 mph in a mile and then it was tuck in and twist the throttle to the stop, this time she ran straight as an arrow and the revs just kept building to 6800 at the end of the measured miles, in fact I kept the throttle wide for another untimed mile just for the hell of it and saw another 100 rpm or about 2 to 3 mph on the old Chronometric tachometer. ... Five miles absolutely flat out .... 193.061 mph. ...... The next day looked like we might crack the magic 200 mark and the officials kindly offered us an extra timed mile, but alas it was not to be. Upon close inspection the oil was discolored and coming from the breather and the crank and cush drive was suffering badly so the nitro was left unopened, a Nitro engine failure at 200mph is not high on my bucket list ! Truly there is nothing quite like ........... A fast ride with a naked lady !! A few years ago I read the book ….One Good Run…. 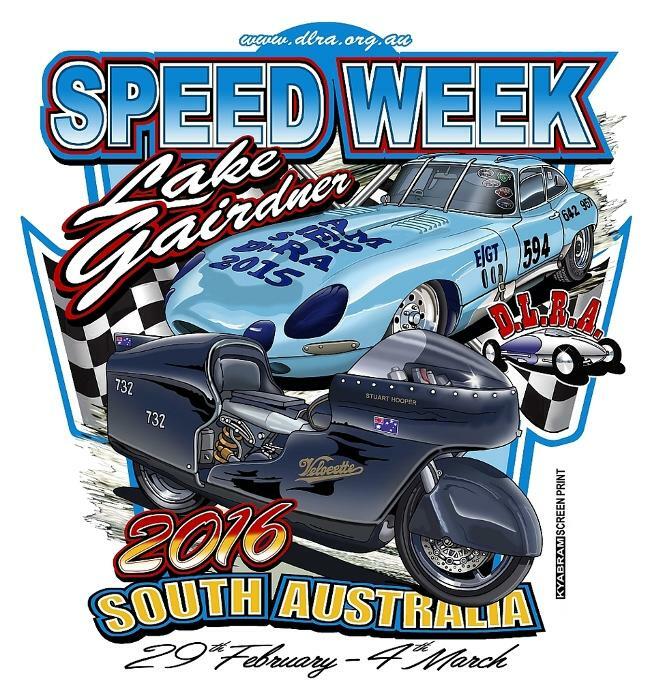 later made into the movie …The Worlds Fastest Indian… this coupled with my lifelong interest in motorcycles and my even longer friendship with Keith Canning , the president of the Australian Velocette club and owner of a Mk1 Clubman similar to the 24hr 100mph record bike…. reignited my lifelong desire to race on the salt…………… What better , odder, crazier, choice than a 1959 single cylinder Velocette ! !